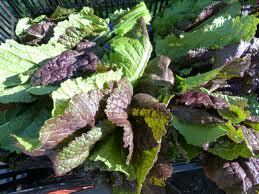 Don’t be afraid of mustard greens | Mom, How do I make this? I love kale. 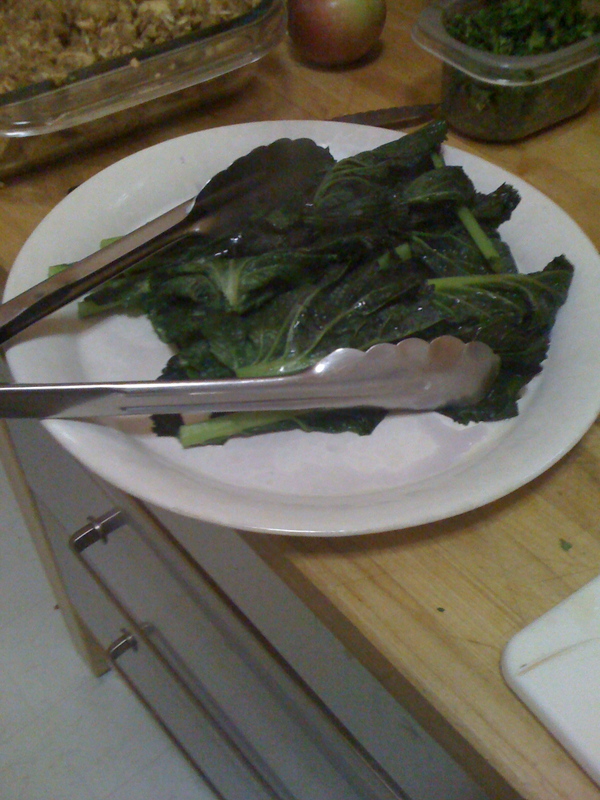 Spinach, broccoli, collard greens and all manner of lettuce. But for some reason mustard greens scare me. I think it’s because they are so bitter, or they seem so … wild that I’m never quite sure how to cook them. But today, as we were wandering around the neighborhood farmer’s market, Andrew tasted a sample and decided he wanted some. They looked so pretty, all purple-tinged and fresh. So we bought them. And lo and behold, they’re delicious! And easy! Peppery, bitter and fresh. How did I ever not cook them? Mom’s in California this weekend visiting Bob’s daughters, so I had to track her down on one of their phones. 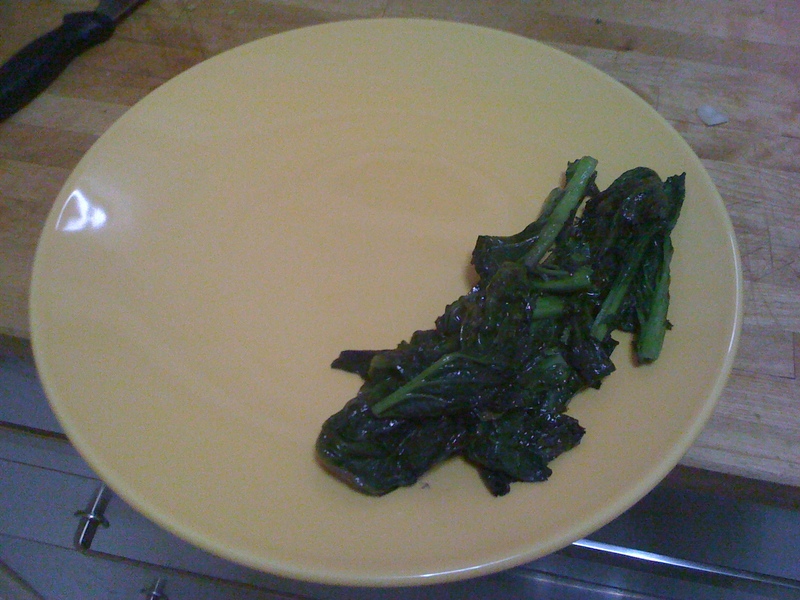 “They r like any other BITTER greens,” she typed on some random number. Which means, they’re easy to cook. Cut the bottom stems off so they’re just leafy. The key here is to blanche them first. If you’re not familiar with how to blanche, it’s really quite easy. 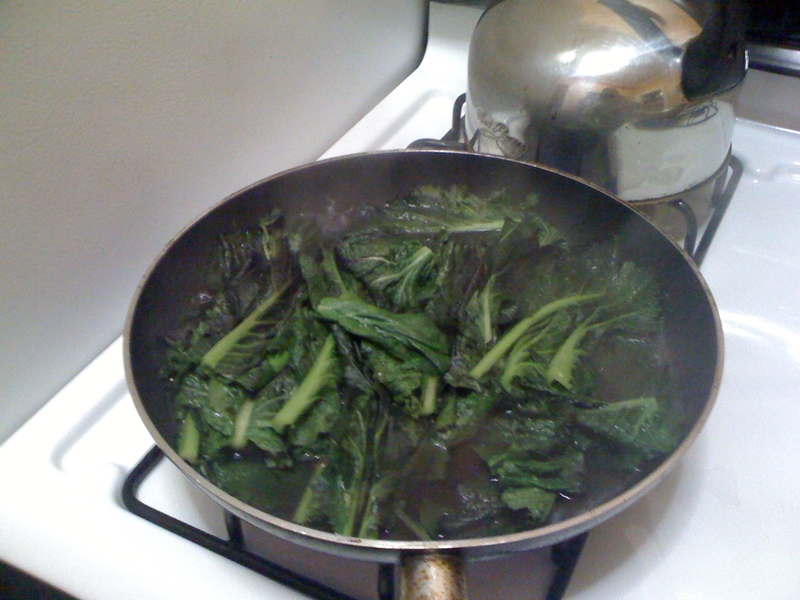 Fill a saute pan with water almost to the top and right before it boils, toss the greens in. Looks sort of like this, forgive the photos I have an older smartphone. Let it sit in the near-boiling water for about 5 minutes or until they’re a bit soft. Then take them out and set them aside, briefly. Dump out the water. OK so, if you’re cooking something else, like pork tenderloin which would be great, or fish or something, (we had shrimp, again, I’m on a shellfish kick) Let these greens hang out until about 10 minutes before everything else is done. Pour a thin layer of olive oil into the saute pan and heat it up. Toss the greens back in for about 5 minutes. Salt and pepper them. And seriously, that’s all my mom told me to do. Well, she said I could add bacon if I wanted to but that’s another story. Go buy some! They’re tasty. Try tossing it with some soy sauce or oyster sauce on day, or some garlic, or some toasted sliced nuts, too! I tried this recently, it was delish, thanks!